Currently, we have over 20 years of experience in the sector. Initiating activities in 1986 as Luzesa natural person ventured into the facilities and services of electro-mechanical maintenance for some banks, government agencies and private companies. 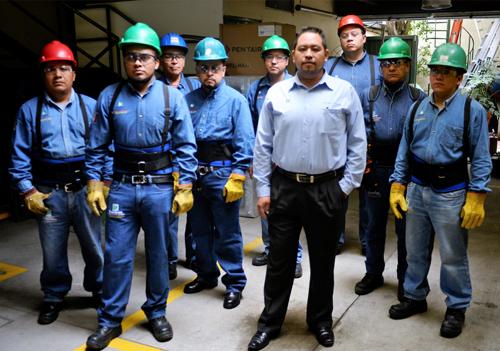 To be the most successful company in the field of maintenance and electromechanical installations specialized, leader and example at national and international level; that is distinguished by providing excellent service quality to meet the different needs of our customers. Always show a responsible attitude, showing interest, empathy, listening and understanding their needs, acting on behalf of our client, always looking for a context of win – win. We believe in honesty as the main foundation for human relations, without it, the conditions for coexistence, is not conducive to so honesty is a key pillar in our day-to-day actions. We maintain a relationship of respect, open communication between our team work, suppliers, customers and society in general, with full trust and openness for changes and improvements, this, to be able to offer every day a better service that meets and exceeds expectations.